She knew her calling was squash the day she won her first national-level competition at the age of 12. From there she went on to win India’s first Commonwealth Games’ gold medal in the sport. 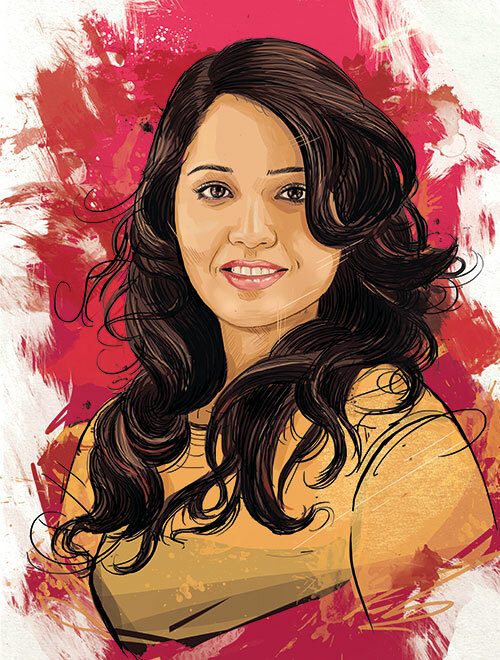 Ace player Dipika Pallikal Karthik — a self-confessed fitness enthusiast and the first Indian to break into the top 10 in the Professional Squash Association Women’s ranking — is relentlessly working to achieve her dream of becoming world number one. What has been your most memorable game? The Commonwealth Games’ women’s doubles finals in 2014 where India secured its first ever CWG medal in squash. It was a great match where Joshna Chinappa and I beat top seeded players on our way to victory. What advice would you give aspiring squash players? It is a tough sport. It’s a game of great endurance. It drains you both physically and mentally. It’s a big challenge but it brings you great satisfaction when you do well. You go through a lot of ups and downs and it does take time, but as long as you don’t give up, it’s just a matter of time before glory is yours. What is the greatest obstacle you’ve faced? When I was 13, I had no place to train at in India and had to go to Egypt for the same. It was very hard on me to stay away from my family and home. I had serious thoughts of giving up the game I loved so much but I fought through all of it and here I am today —having been honoured with the Arjuna Award and the Padma Shri. What is your driving philosophy in life? Chasing my dreams whatever the circumstances may be, which is to be number one in squash in the world. What does it feel like to be a trailblazer in your field? It’s a motivator. It keeps you wanting to achieve more and more. And I come from a sports background — my grandparents and parents have inspired me to stand for everything I believe in and continue to do what I love doing to the best of my abilities. I admire my coach Sarah Fitz-Gerald, who is a great person and a five-time World Squash Championship winner. She is an inspiration and mentor. How has living a life in the limelight affected you? Playing for India brings about a sense of belonging, and the passion engulfs you. It is a great feeling to be in the limelight for your country, it keeps you going and at the end of the day, that’s what you are there for — to bring laurels for your country and be in the news for that reason. Are you an easy-going or disciplined person in your daily life? Discipline is very important…there are a few days in the year when I get to laze around and be easy-going but we, as athletes, need to earn those days. At the end of the day, your training routine and the discipline required to follow it is very important. What is the one thing, apart from your profession, which you are passionate about? I love going on exotic holidays to places like Alaska and the Maldives. I look forward to these vacations as and when I get a break from my schedules and routines. I like to see movies and spend time with family whenever I do get some time off. I’m training hard for the 2018 Commonwealth and Asian Games. The main motive is to earn medals for the country at both these tournaments.